Microsoft Intune supports the deployment of applications using InstallApplication. This opens the possibility to manage Mac computers with Microsoft Intune, and automatically push Munki to provide additional functionality. As far as I know, there’s no way to make these macOS LOB apps to be installed during the setup assistant (also called: “Bootstrap package”. In practice, the delay between enrolment and the app being deployed can be quite long (I’ve seen 5 minutes while clicking on “Sync” frantically). Also, Microsoft Intune seem to be a little slow to report success or failure in the console. Perhaps time for a User voice feedback? While 4.5.28.1 only supports 10.6 - 10.12, we had some success forcing the installation and testing with a sample EICAR virus file. I wouldn't recommend this on production environment and would encourage you to ping your Microsoft rep. ESET Cyber Security for Mac is compatible with 10.13, so it should arrive someday soon. Note: Some of this might translate to ESET using `esets_set`. Note2: I'm not endorsing the use of this software. Thank you Neil for your hard work! Microsoft OneDrive is a pretty good tool to sync OneDrive cloud storage with your Mac. It is quite similar to Dropbox, Box or Google Drive. But when you use Sharepoint, it becomes incredibly useful. You can sync your Sharepoint folders locally! This is a feature that was recently merged from OneDrive for Business. All you need is to install Microsoft OneDrive on your Mac, connect to your SharePoint server, go to the folder you want to sync and click "Sync". 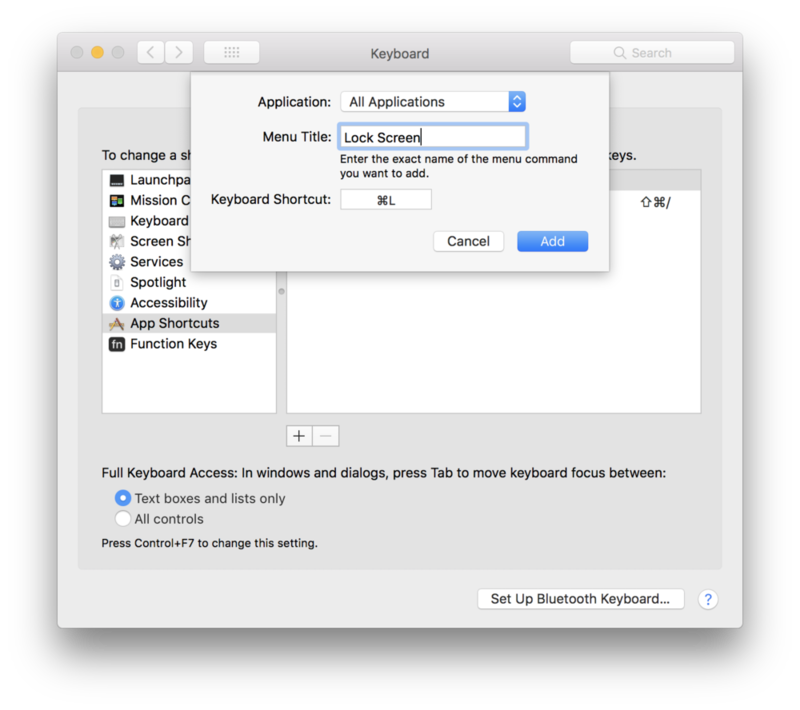 This is something that will make your Mac users pretty happy. Please note that the Mac App Store version don't have the same features as the standalone install. Version numbers are very similar, but the App Store version is sandboxed while the standalone version is not. It means that some feature will only be available in the latter version. So get the standalone version here. Microsoft is not so vocal about it. You will find more information on the configuration keys you can use to manage Microsoft OneDrive here: Configure the new OneDrive sync client on macOS. ResetOneDriveAppStandalone.command will delete containers, logs, settings, finder extension and keychain items. It may be a good idea to create two Policies accessible in Jamf Self-Service to execute one or the other. The MacAdmins slack is probably the best place to meet MacAdmins today. The community is helpful, thankful and many vendors are present and listening. #protips: see all posts tagged with a ProTip emoticon. #jobs-board: get and post job openings. A good tip is to set a notification for any new post, or matching a specific name (for example, state or country). Don't respond here or you'll get the 🐼. Use #jobs-chat. Keep in mind that with more than 13.000 members, the hiring manager or a member of the team you'd join might be there. #blog-feed: your RSS reader on Slack. A good way to find new blogs. You can add yours with /feed. Use #blog-chat to discuss posts. #autopkg : Tim and Hannes are present, and they do a great job populating the FAQ. So read it before asking questions. #microsoft-office : Microsoft engineers and PM are present and they listen carefully. They also help us whenever we're stuck on a difficult or exotic issue. #security : some of the best security researchers are there. It's good keeping an eye on this one. There are many, many more channels. Some focus on a specific technology, some others on a passion, and many are about a specific product. You can also find regional channels, like #macadminsfr for French-speaking MacAdmins. Please remember that this service is provided for free by volunteers. It's ok to be passionate, but don't spam. Please be nice and respectful to your peers to keep the community healthy. Remember there are many different cultures, some may be offended by something you consider harmless. On Monday, October 26th, Jamf will had A few IP Addresses to the pool of Outbound Jamf Cloud IPs. This is due to the fact that, by default, Xcode only adds the "Read Only" permission to "User Selected File". Change it your Target > Capabilities > App Sandbox settings and rebuild! FSMonitor: Easily find what's being modified on your file system. What tool do you use when you try to snoop it and find which find are being modified? Do you use Jamf Composer? fs_usage? FSEventer? Well FSMonitor might be your new best buddy. It was soft launched earlier this year. I just cannot believed I missed it. Thank you, Armin Briegel, for telling me! Just a word of caution: Packaging is hard, try not to if you can. Sometimes, pushing the original package with a Configuration Profile might suffice. Also, events might get dropped if there's too many. That's by design from the Apple API. Some time ago, I made ftiff/MenuLock to help users lock the screen of their Mac with a simple key shortcut (CMD+L, like on Windows). In High Sierra, this will be native with CMD+CTRL+Q, and I will deprecate MenuLock. Select "All Applications", "Lock Screen" and type your shortcut. Now, you can use CMD+L to lock your Mac. And it's changed in the Apple Menu! When you copy certain macOS files to a non-HFS+/APFS formatted disk (such as a file share), the metadata will be extracted from the files and put in invisible files starting with `._`. This can leads to issues or can look garbage when you send these files to Git. Before Mac OS X, the Mac OS used ‘forked’ files, which have two components: a data fork and a resource fork. The Mac OS Standard (HFS) and Mac OS Extended (HFS Plus) disk formats support forked files. When you move these types of files to other disk formats, the resource fork can be lost. I'm don't necessarily agree that deleting them is harmless. I've seen cases where doing so would create issues. Last time I remember was while I was an assistant editor for a feature film. I did an rsync and forgot the -E flag. All the asset files lost their metadata and I had to reimport all manually in Final Cut Pro. An easy way to fix this is to run the `dot_clean` command, available from the optional Command Line Tools. One of the oldest sound I remember using on my PC was Linus Torvalds' english.au, available on kernel.org. If I remember well, I would do `cat english.au > /dev/dsp` to listen to it. So I did the same! Now you know how to pronounce my name "François Levaux-Tiffreau" but in short "François Levaux" and my nickname "ftiff" (f-tiff, not "stiff"). There you know! It may not be as easy to remember as Puhpine Brieyen, but I'm at the WWDC and I really want to finish this blog post, send my essay for my MSc and enjoy it. Just a small break while packing my stuff for the WWDC. I cannot express how happy I am to finally attend it. I remember when I was 7, asking my father every weekend to drive me to Apple France to visit it. He never did. As WWDC is my Christmas, I'm now in the mood of reflecting back on the year that just passed. Amaris and I launched an Apple Service and Competency Center. We are now partnering within Apple Professional Services and in the process of becoming Jamf Integrator. Our goal is to support internal and external needs for Apple expertise in Europe. More on that soon. SplashBuddy (formerly CasperSplash) is still not released, as I set the bar too high. The software in itself is pretty simple, but most of the work is to make it solid and easy to use. It's great to see more and more people using it. We've hired Merieme Paulouin and Christoph Fellner, two amazing MacAdmins. But more will join later this year! I spent most of my free time cursing about my MSc in Information Systems Management at the University of Liverpool. and i will continue to do so for the next two years... yippee! If you're around, please ping me on Slack or twitter (@ftiff). I'll be around SF/San Jose from June 2 to 10, then around Austin/Houston until 12. We announced on April 1st that KerbMinder and ADPassMon would no longer be maintained. KerbMinder was a python script created by Peter Bukowinski that would automatically create and renew Kerberos tickets. In 2015, I became a contributor to the project and adapted it so it could run without the computer being bound to AD. It was a game changer. Not binding to AD became cool and everyone started to talk about it. Ben Toms took over ADPassMon from Peter and did some awesome changes. We then created a "secret" channel on Slack to discuss how we could merge the two software together to have it create and renew Kerberos tickets, alert the user when his password was expiring and automatically mount shares (with the help of @kylecrawshaw). Then life got in the way. My main client bought Apple Enterprise Connect, and all the others in the team got new jobs. But Joel Rennich joined the channel. He took over and created NoMAD with the notable help of Owen Pragel. This is what Gala would have been. Apple Enterprise Connect and NoMAD are better than KerbMinder and ADPassMon combined. We created the following table to assist in choosing between the two. In production, I've only used Apple Enterprise Connect. I can assure it's a great software, and support is amazing. I had very good feedback from NoMAD too. Thank you all for being part of the journey. See how Culture Amp modernised their onboarding process by using SplashBuddy. Apple released this month the new iOS Security for iOS 10.